Your inner history buff will appreciate Catacombe di San Callisto and Vatican Museums. For shopping fun, head to Via Condotti or Di San Giacomo Sandals. 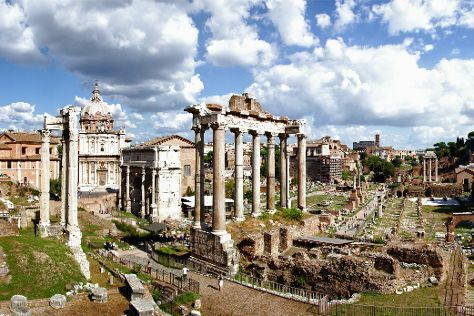 There's much more to do: explore the ancient world of Colosseum, contemplate the long history of Roman Forum, get to know the fascinating history of Piazza Navona, and admire the local landmark of Trevi Fountain. To see other places to visit, ratings, reviews, and other tourist information, refer to the Rome tour itinerary planning app . If you are flying in from Argentina, the closest major airports are Leonardo da Vinci–Fiumicino Airport and Ciampino–G. B. Pastine International Airport. In June, daily temperatures in Rome can reach 34°C, while at night they dip to 21°C. Finish your sightseeing early on the 23rd (Sat) so you can travel back home.